For those of you in the Auckland, New Zealand area I recommend heading down to the Central City Library to the the Joking Aside display. It features many great illustrations, caricatures and comic drawings there, from the Sir George Grey collections. It's open for a few more weeks until Sunday 15th July, and you'll find it on the second floor! There's quite a bit there to see - including an original copy of Edward Lear's A Book of Nonsense, with some fine illustrations in it! 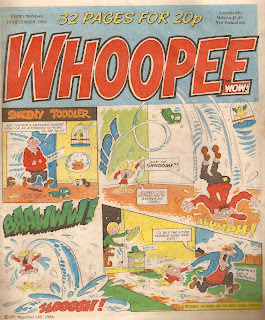 Reading an issue of Whoopee the other day, I noticed a mistake on the back cover. Not a small, easily overlooked mistake such as a spelling error or something, but a mistake with the speech bubbles! Sweeny Toddler was actually telling himself off, by saying what his dad was meant to be! Confusing I know, but I wonder how this was overlooked by the editor? Here's the full story, illustrated by Tom Paterson. 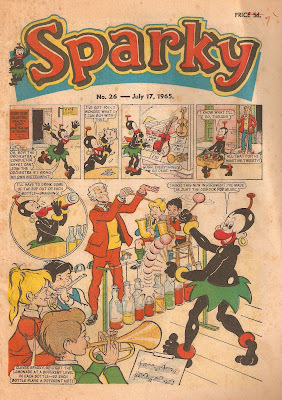 Flashback to 1965: Sparky No. 26! 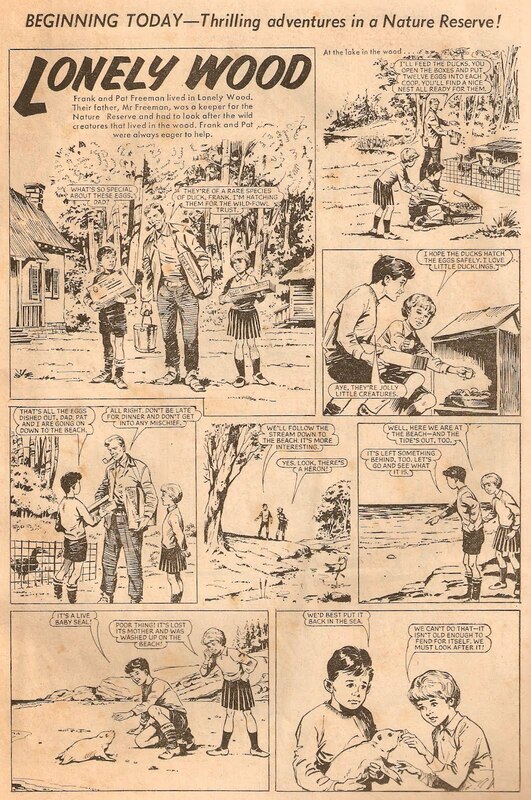 Back in 1965 a new comic was launched, published by D.C Thomson. 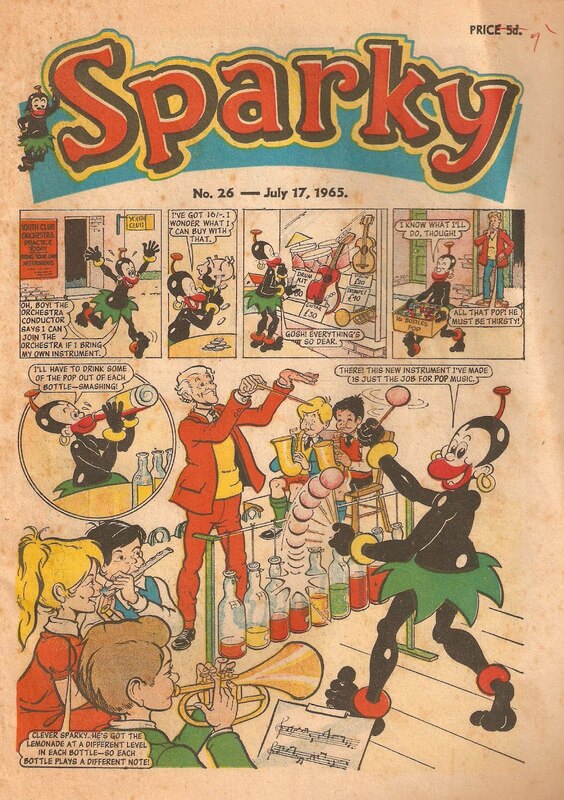 It was called Sparky, and was launched in January of that year, to last for 12 years until 1977, with the annuals even lasting until the 80's! 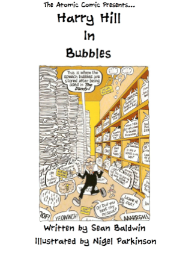 Issue 26 went on sale on 17th July, and for 5d you got 26 pages of comics, puzzles and jokes! 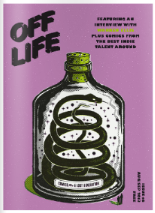 The front cover featured Sparky himself, demonstrating one of the many uses you can have with bottles of pop! 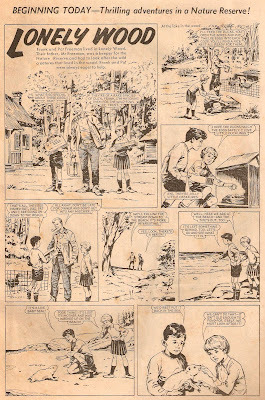 This issue also brought with it the start of a new adventure strip called Lonely Wood. The story is based around brother and sister Frank and Pat Freeman, who find and look after injured or lost animals. Hence the first panel on the boxes of duck eggs it reads "with care" - and they're definatly been carful with them! 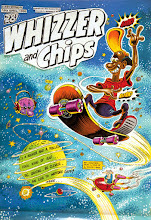 Hungry Horace also appeared in this issue. 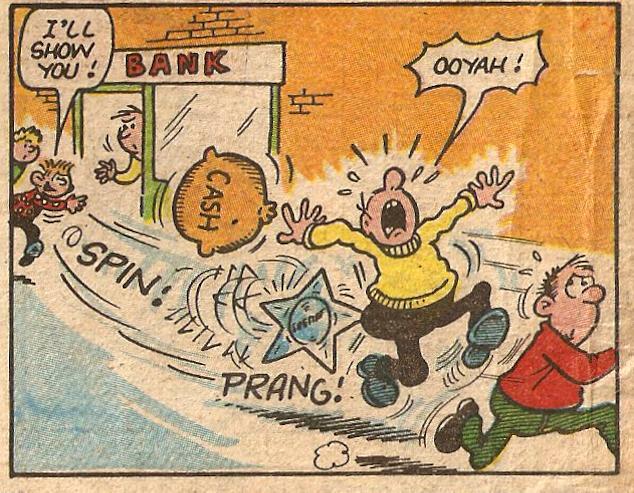 Originally from The Dandy, his strip had ended in 1956, but had joined Sparky when it was launched and would even make it into the merge with Topper. I don't know how long he lasted from there, but it wasn't for at least another 10 years! Another Dandy character to appear in Sparky comic was Keyhole Kate. 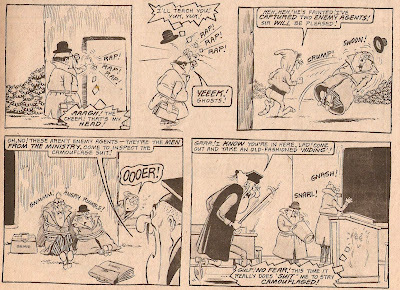 Out key-hole peeping sneak didn't have as much of a success story as Horace did, lasting in The Dandy from issue 1937 - 1955, and from Sparky to 1974. 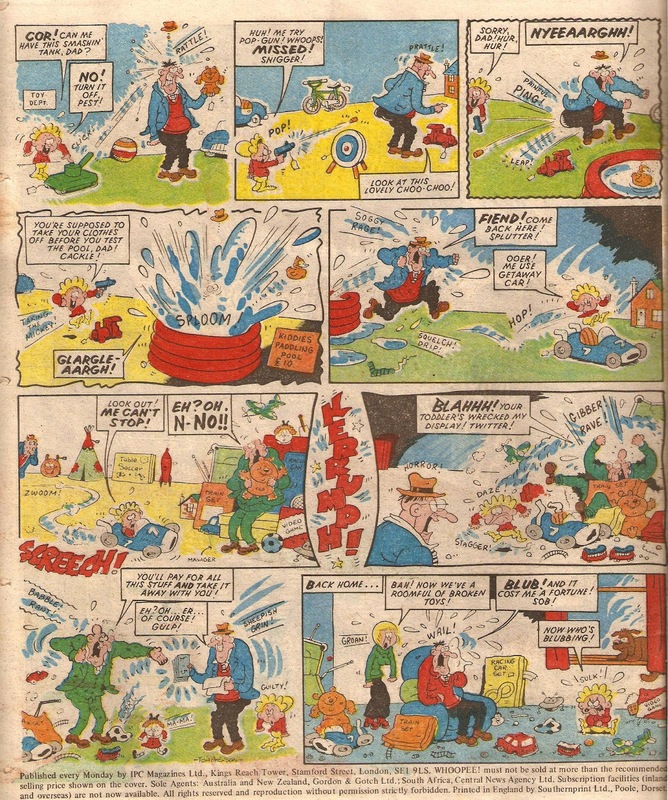 Both Hungry Horace and Keyhole Kate in the Sparky were illustrated by George Drysdale. 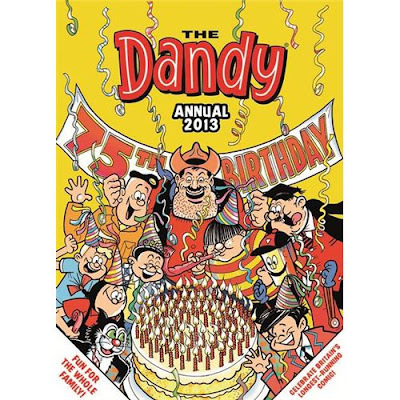 Under Nosey Parker's strip (which is another revived character, although this time not from The Dandy), is an advert for the 1965 Dandy summer special! For just 1/6d you got heaps of holiday smiles, thrils and games to play! Now if it wasn't going for so much on ebay I'd want to get a copy! (Just a short post now, as I've got a busy day ahead of me!) 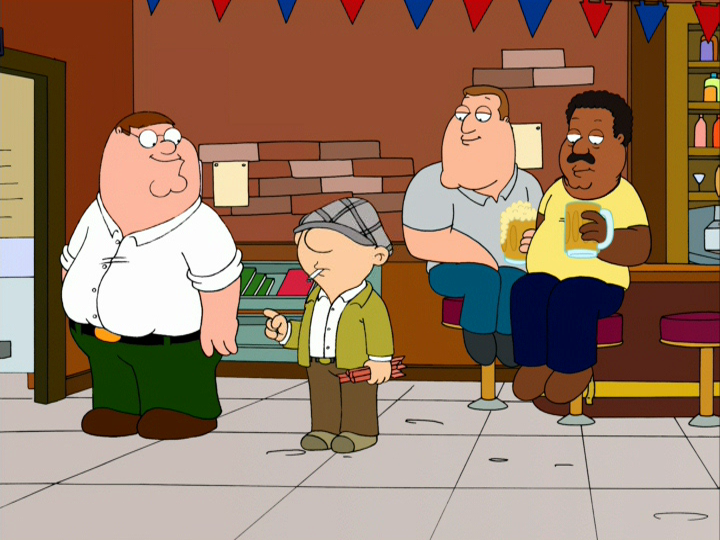 In a Season 3 episode of Family Guy, Buster's dad Andy Capp appeared in the Drunken Clam, challenging Peter to a game of Darts! It was only a short, 15 second clip but he appeared none-the-less! Sadly I couldn't find a better quality video, but here it is for you too see! 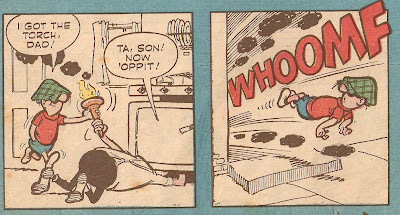 Also on YouTube are a few animated Andy Capp stories. 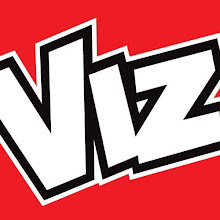 They're only about a minute long and no way near as funny as the strips! Here's one, there's four in total! 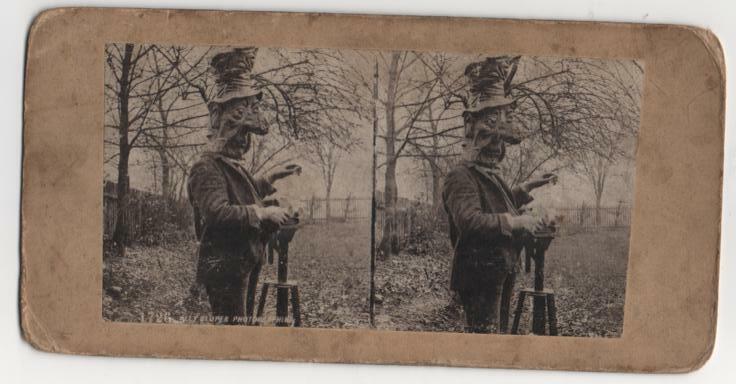 Recently I purchased the above Ally Sloper stereocard. 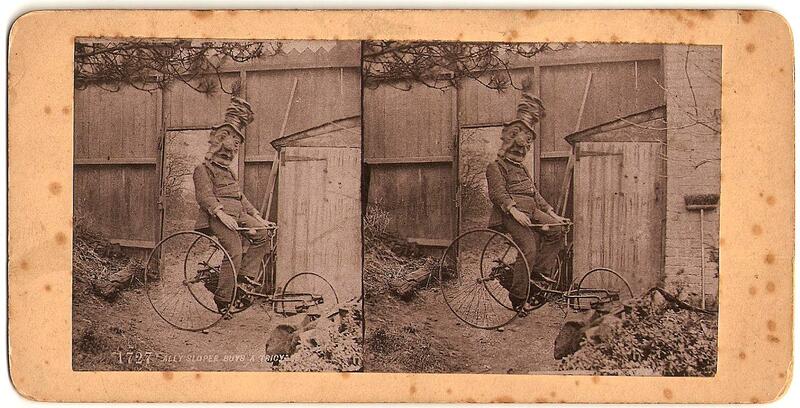 In the bottom left hand corner of the postcard it reads "1727 ALLY SLOPER BUYS A TRICYCLE". I have seen another Ally Sloper card go on sale before, but I cant seem to find a picture of it. 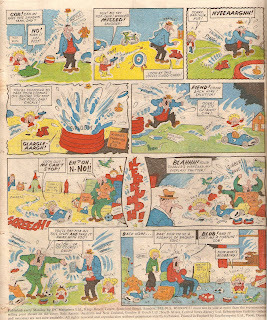 It featured Ally Sloper standing on a box with someone at either side of him, the box reading "Ally Sloper's Half Holiday" (promoting the comic he appeared in). 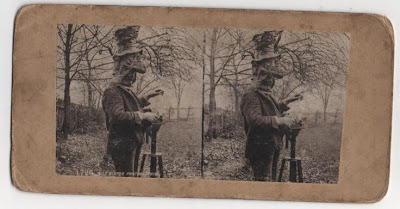 I also managed to find another Sloper stereocard online, which reads "1726 ALLY SLOPER PHOTOGRAPHING" (seen above). '1727' is probably the number in the series, although I doubt they made over one and a half thousand different cards. If anybody can shed any light onto them please let me know! Another one of the Steroeocards has appeared on eBay (the tricycle one, as seen at the top). The seller has supplied some of the publisher information. The cards were published by Stringer's Stores, at 22 Cross Cheaping, Coventry. 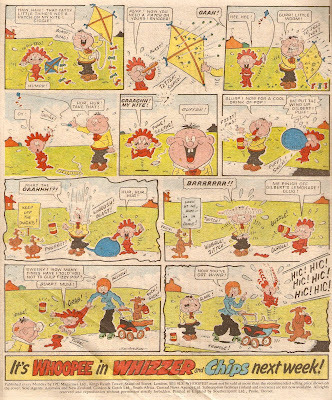 Whoopee was Fleetway's third longest living comic, surviving for over 10 years between 1974 and 1985. 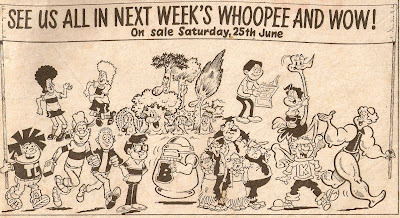 Throughout it's run, Whoopee created many fantastic characters, including Toy Boy, The Bumpkin Billionaires and the less lived Ad Lad, to name a few! 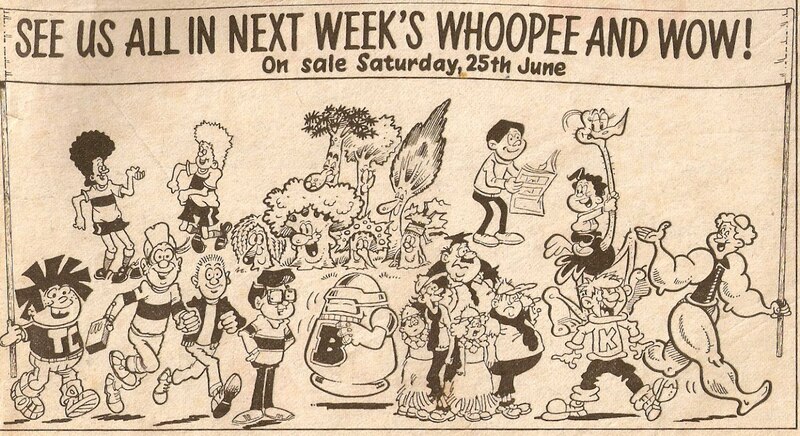 However, despite having such a strong array of characters, Whoopee ended on 30th March 1985. 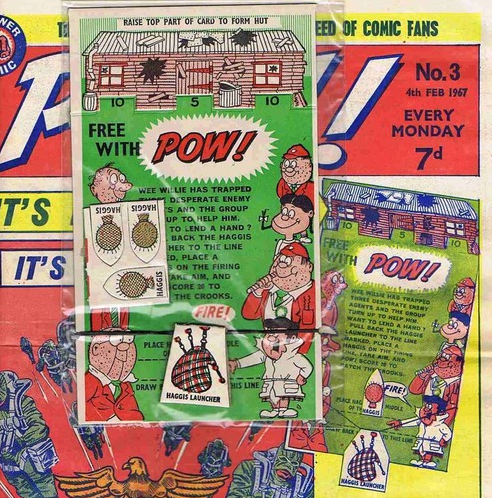 Usually when the final issue came out, the strapline read something along the lines of "Great News Inside Pals", but for Whoopee it simply read "Me's Got To Fly". 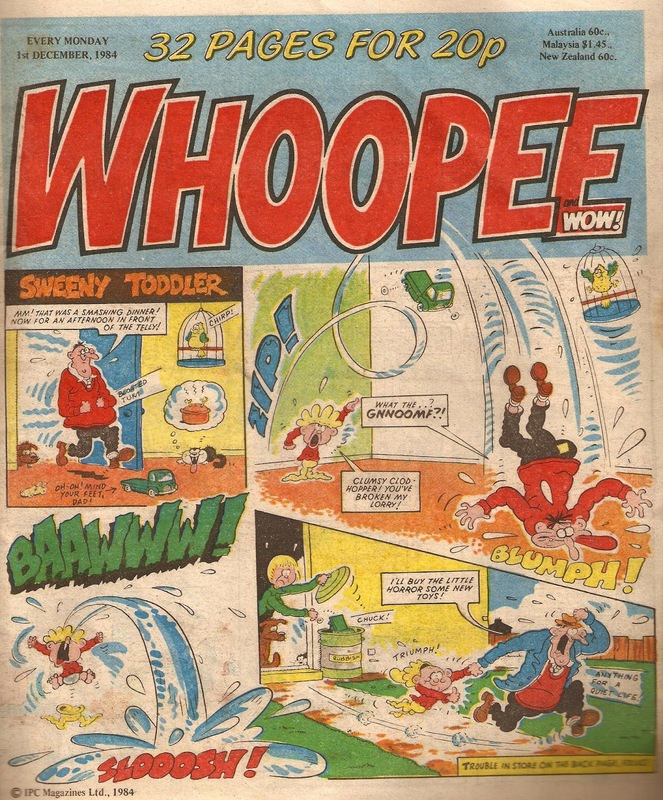 This strapline tied in with the cover story, as Sweeny Toddler was out flying a kite, but I can't help but wonder if it is also hinting us about the end of the comic! 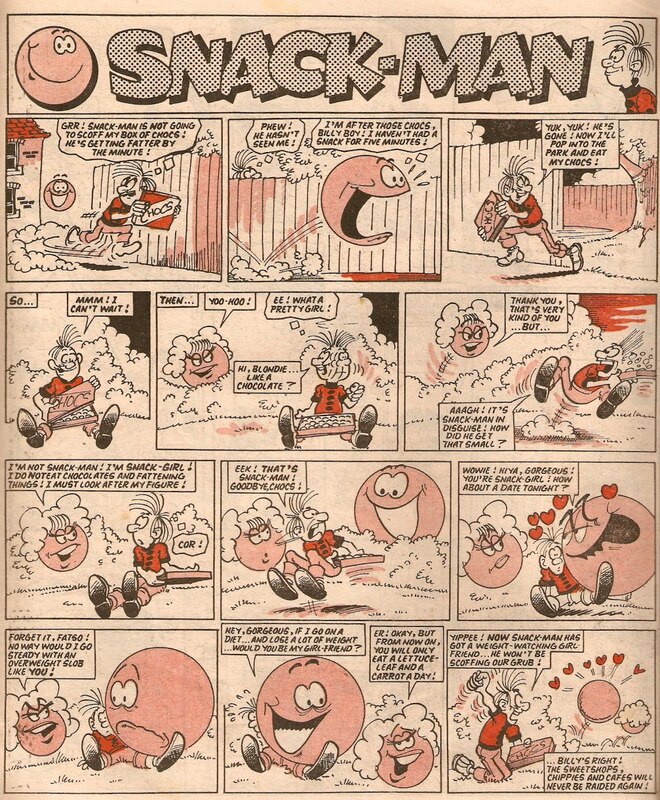 Inside, Snack-Man, who had been in the comic since 1982, met the girl of his dreams. Unfortunatly for him, Snack-Girl thinks he is far too fat, and he must go on a diet - of one lettuce leaf and a carrot a day! That of course, was the end of the series. That wasn't the only strip to end. Family Trees was about a group of trees who are always running away from axes and saws. Illustrated by Robert Nixon the tree's have finally found a home after years of searching! 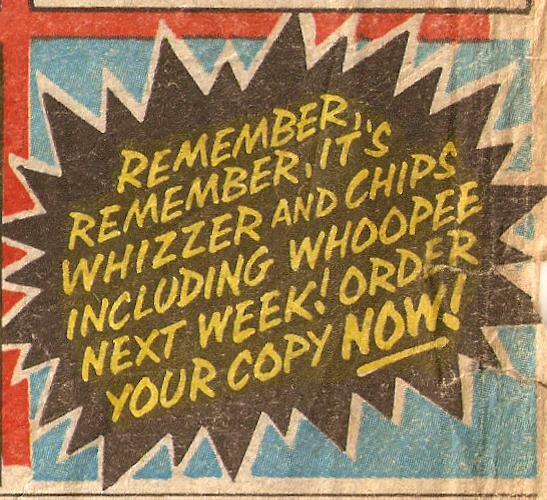 The centre pages featured a two page ad for next week's Whizzer and Chips with Whoopee. 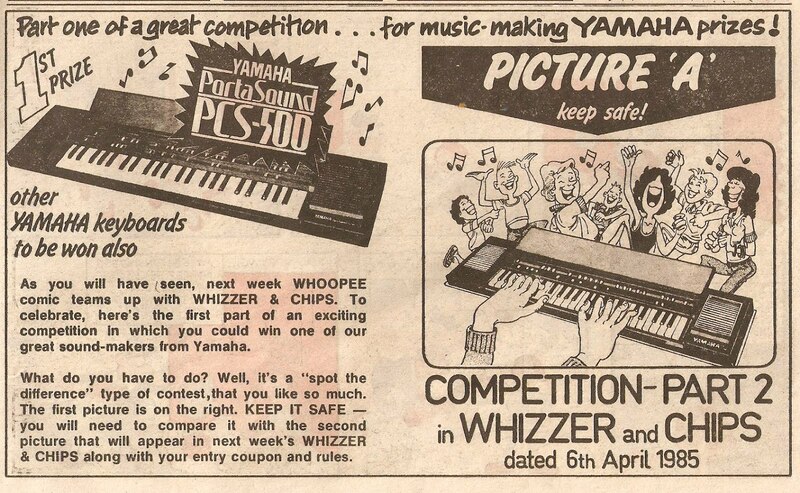 As well as the advert, another way to get readers to Whizzer and Chips was to have a competition. 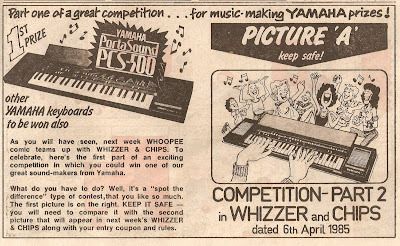 The competition in question is for a Yamaha keyboard, and part one appeared in Whoopee, and part 2 appeared in the following Whizzer and Chips! 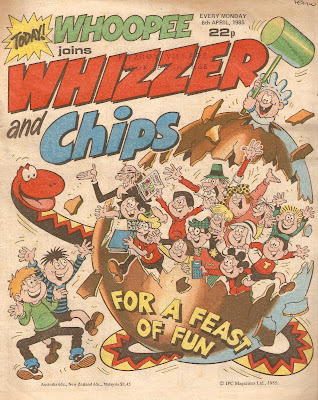 Of course, to make it fair to Whizz-kids and Chip-ites, part one of the competition also appeared in Whizzer and Chips of the same week. 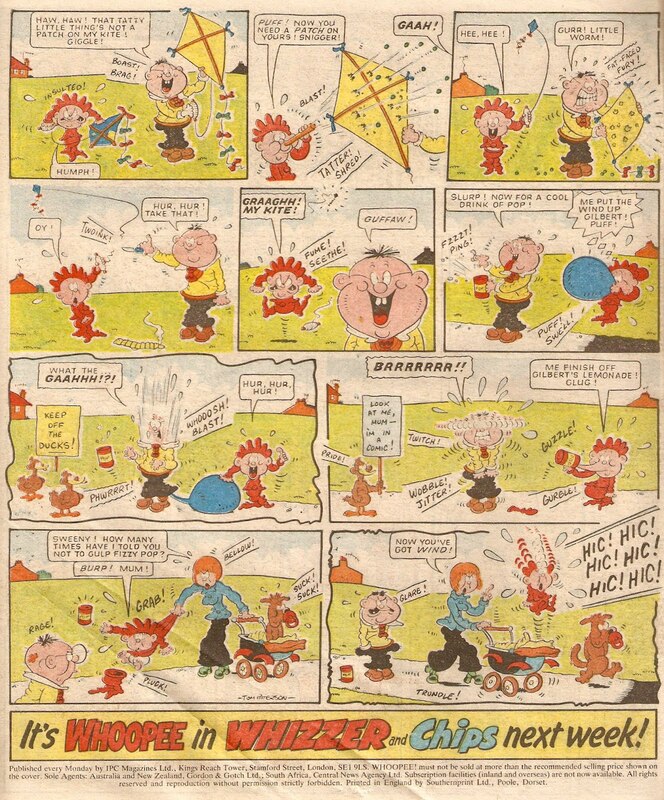 Also in that same issue was a two page advert drawn by Frank McDiarmid, where Sid and Shiner are choosing who will be coming into their comics! Sweeny isn't pleased about not being picked! And there was a final one panel advert reminding you about the merge at the bottom of Joker's strip! When the merge finally came Sweeny Toddler kept popping up throught the issue trying to find his strip. When he discovered that he was on the back cover, he wasn't happy, and resolved to get revenge on the editor "next week"! But a message from Sweeny that following week revealed that it didn't go according to plan! Despite that he managed to secure his place on the front cover, becoming one of the comics most succesful characters, even lasting until the end of Buster in 2000! Barney began his adventures with his badges in Wow! 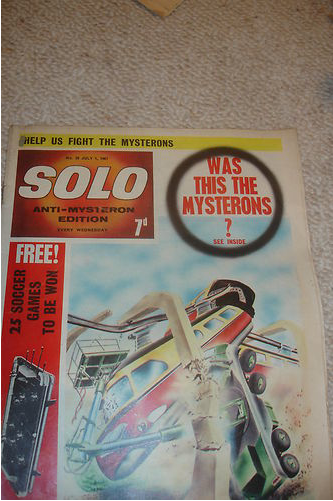 issue 1, where he luckily aquired a huge set of old badges, for free, from a mysterious old lady at a jumble sale! 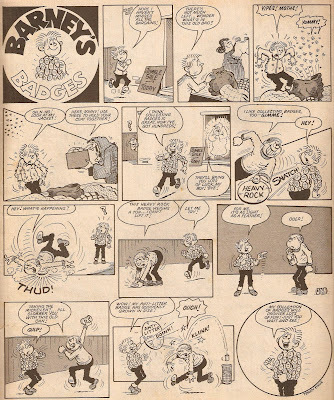 Illustrated by Terry Bave, his badges got Barney out of many sticky situations, generally by enlarging or simply living up to their name (heavy rock, for example, became very heavy). 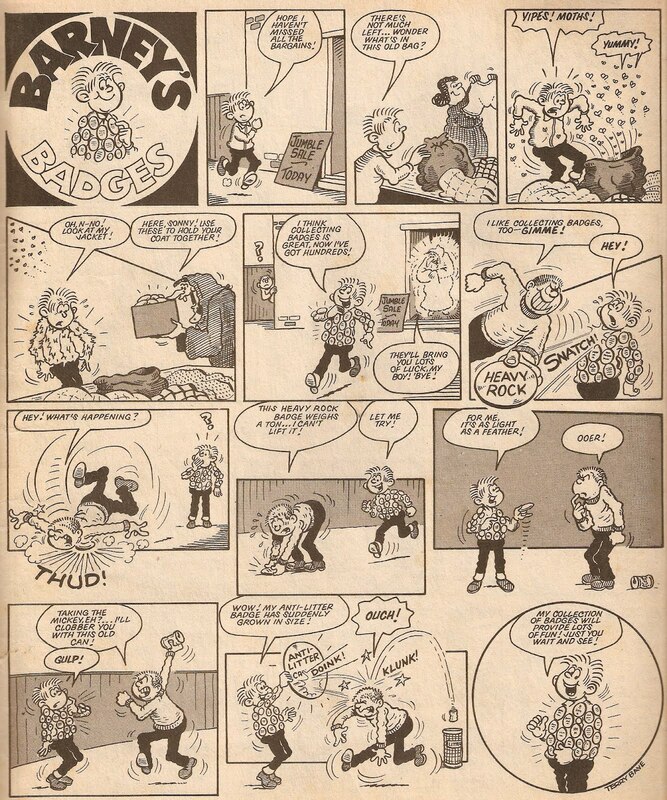 I thought that Barney's Badges got into some great, and hilarious, adventures, and I thoroughly enjoyed the strip. Sadly, when Wow! 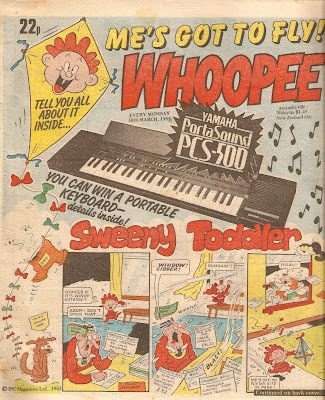 merged into Whoopee after just 56 issues, he didn't go with it (despite the fact he had even appeared on the back cover)! 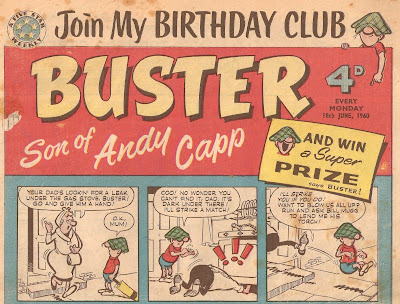 When Buster comic was launched in 1960, it was sub-titled 'Son of Andy Capp'. That's because Buster, who remained the cover star for the entire comics run, was supposed to be the son of the popular Daily Mirror comic character - Andy Capp! 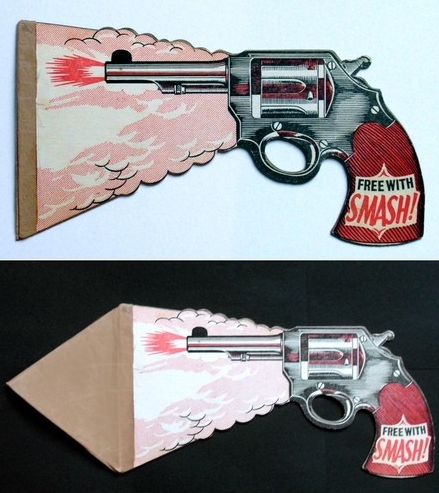 This was also a great technique to attract readers from the newspaper. 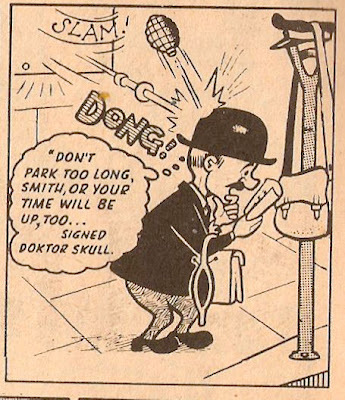 There was an ad in The Daily Mirror underneath an Andy Capp strip advertising the comic! It stated that Buster is "a real chip off the old block" and he is a "mischievous you devil"! Even though the subtitle didn't last long, Andy Capp did make a few appearences in Buster, the first of which was on 18th June, where Mr. Capp was trying to fix a gas leak in the oven! Art by Bill Titcombe. 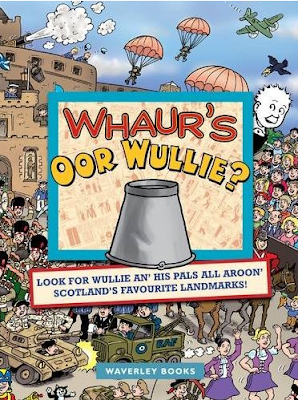 Instead of a match, our fun loving pal comes back with a torch, but not quite any old torch...! 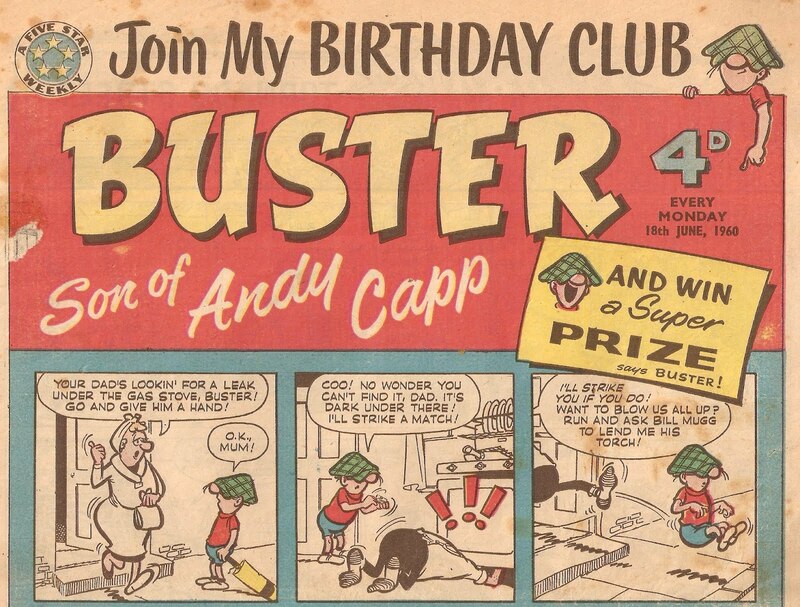 Now admittedly I don't own every early issue of Buster (apparently Andy appeared in the July 2nd issue), but my next Andy Capp appearence is from 16th July. 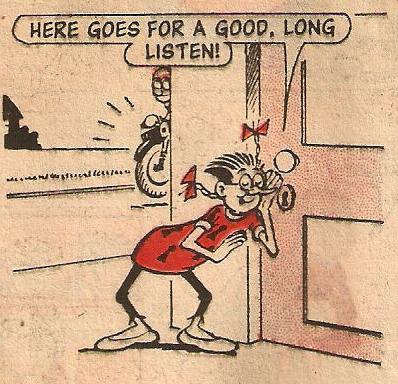 Also drawn by Bill Titcombe, this time Andy gives his son a "fick ear"! 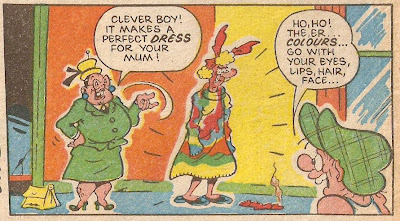 Sadly Andy Capp didn't appear again, but a few refrences were still made towards him, even after the subtitle had being dropped. 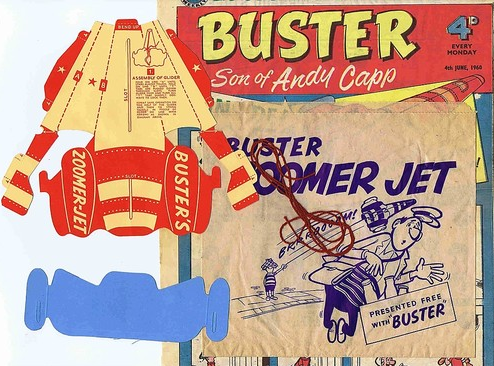 The name Buster's house for example, is 'Capp Cottage'! Art by Hugh McNeill. 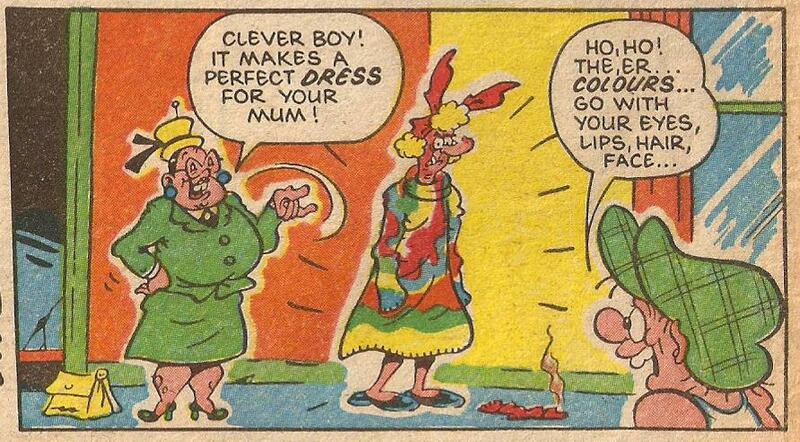 Even though Buster's dad didn't appear in the comic anymore, his mum (otherwise known as Flo)did. She appeared regulary since the start, and would continue to appear throughout the comics life! Here's an example by Tom Paterson, where she's a bit thinner than the early days! 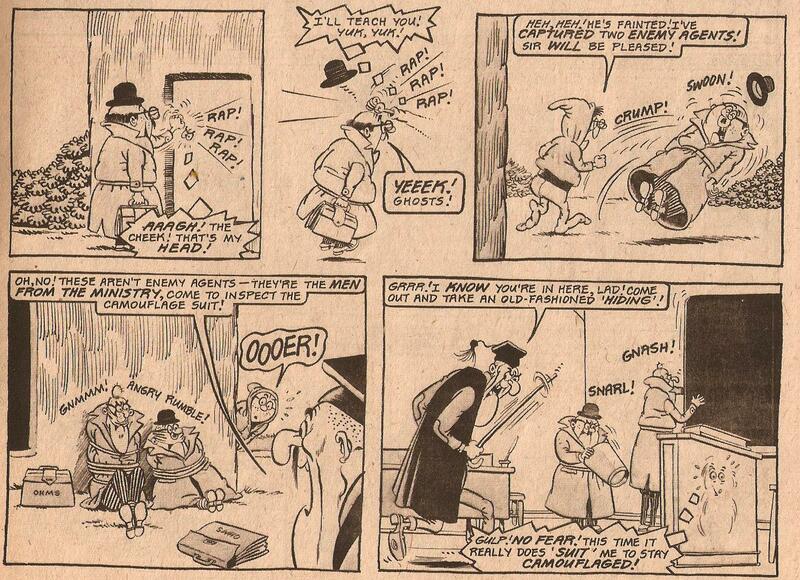 Rarely, Buster would even appear in Andy Capp's strip in The Daily Mirror! I've only known this to happen once, and that was to celebrate 35 years of Buster comic! 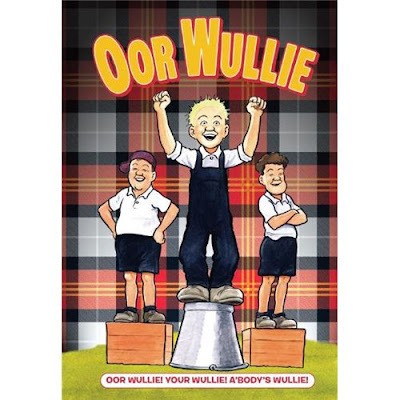 Updating on a recent post about the upcoming 2013 annuals, Waverly Books are producing a Whaur's Oor Wullie? book. A scottish version of Where's Wally?, the book costs £8.99 and can be pre-ordered here, from Amazon. I recently saw the above comic on eBay, and was going to purchase it to write a 'Curious Comics' post on. However, at £22, I decided against it. However, Solo is a very intresting comic that I hadn't heard of before, so I decided to do some research. Turns out, the comic lasted for just 31 issues from February - September, 1967. Spies were the big thing in the 60's, and of course comic spies were quick to catch on! The first thing that came to mind when I thought about comic spies was Wham! 's Eagle Eye Junior Spy, particularly the early episodes illustrated by Leo Baxendale. 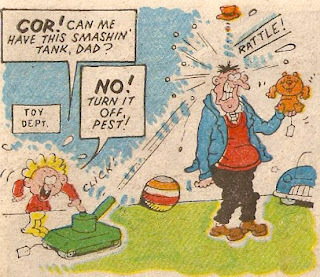 Eagle Eye was a brilliant strip, wonderfully drawn, written and best of all - coloured! The example shown here is from Wham! No. 4. I've chosen this one because it has wonderful colours! Spy Smasher Smith appeared originally in Lion, but the example I have is from the 1970 Whizzer and Chips Holiday Special (which, as far as I'm aware, is the only time Smith appeared in that title). Agent 005 is often reffered to as "Smith", or 'Mr. Smith", just as James Bond is reffered to as "Mr. Bond"! Whoopee!, although beginning in the mid 70's, also had a spy feature within its pages. Graham Allen illustrated Spy School which is, as it's name suggests, a school for spies! 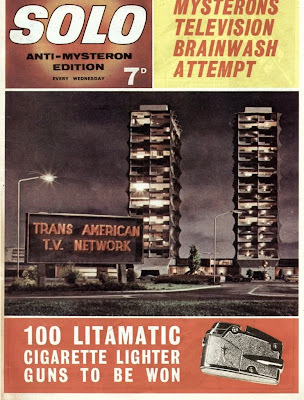 This example is from issue No. 22. 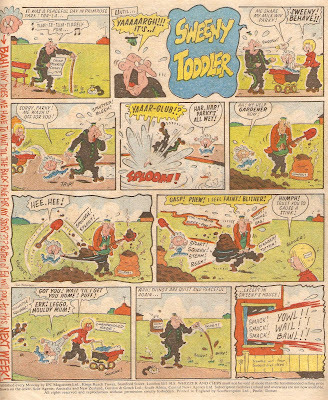 I - Spy is another well-known strip, illustrated by Les Barton for the rather successful Sparky comic. However, Brian Walker did some fantastic long stories for the annuals, such as this one from the 1979 book! And finally - Super Steve! Illustrated by Robert Nixon, Steve was the wonder-boy who worked for the Everso Secret Service (their enimies were the N.M.E! ), after he purchased a special potion (or tonic) from an old man in the street (erm?) for 12 1/2p - hence the earlier name - 12 1/2p Buytonic Boy! Super Steve originally appeared in Krazy, but when the comic merged into Whizzer and Chips he went with them, lasting in the title for many years to come! Over on www.play.com, the covers for D.C Thomson's 2013 annuals have been revealed! The calender will be released on 1st Spetember, as will a 'Desk Diary'. Neither of the covers have yet been released. It doesn't look like a Dennis the Menace book will be released this year, after rumours that it was just taking a break last year so as to not distract readers from the Beano and Dandy book, which is a shame. With thanks to the people of the comicsUK forum for links to the images! POW! Free gift sells for £340! A large collection of rare free gifts have been listed up on eBay over the past few weeks, including the Pow! 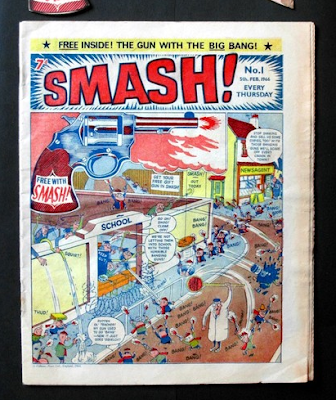 Haggis Launcher seen above, which came with a replica cover of issue 3 and sold for £340! A Cor! 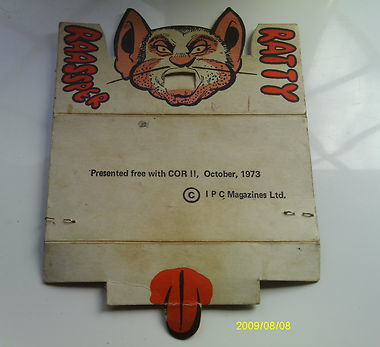 Ratty Rasper without the original elastic band and metal ring, sold for just £14.50, which suddely seems really low compared to the other gifts! This was given away in October 1973. And there are currently a few exciting items up for sale, including the Big Bang Gun from Smash issue #1, along with the original comic. It is currently up to £112.09. You can find it here. When Wham! 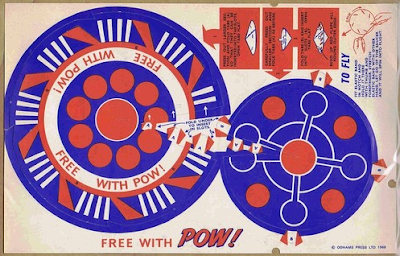 merged with Pow! 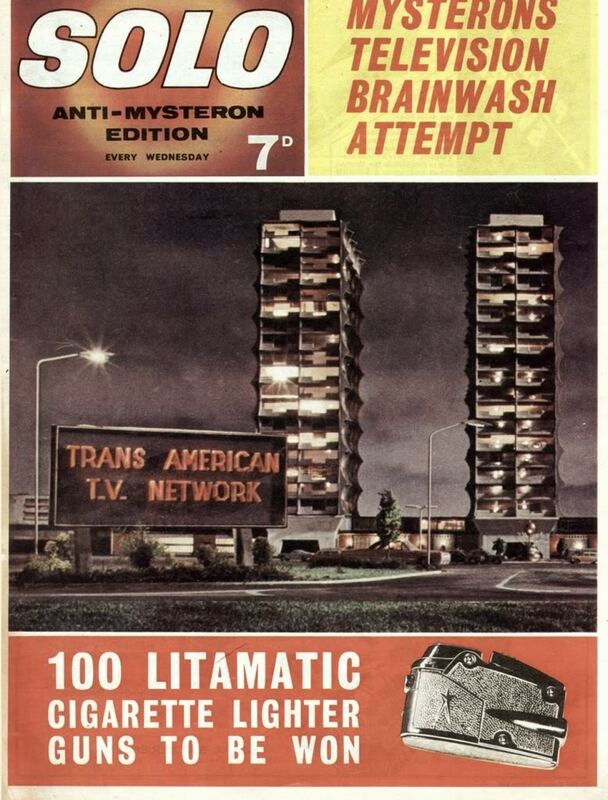 in 1968, a free gift was given away to celebrate! It was the 'Out Of This World Flying Saucer', which is currently on eBay for £32, with a few days of bidding left to go. Click here to see the auction. 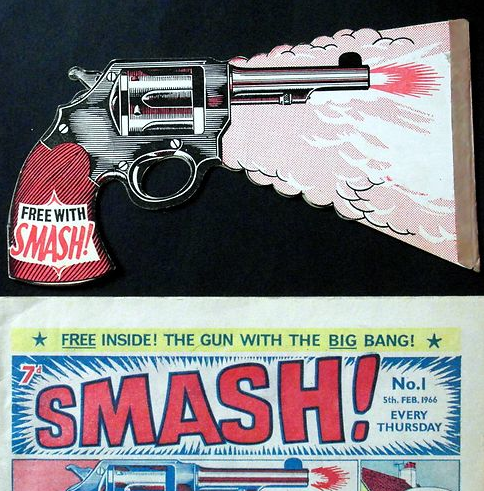 The Buster Boomerang given away in 1962 is on eBay for a hugely overpriced £199 Buy-It-Now. See the listing here. 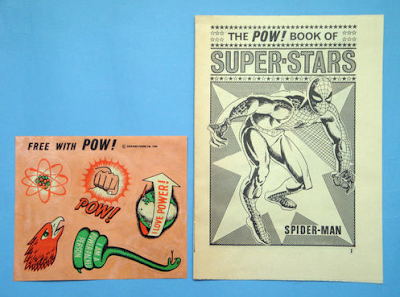 Also overly expensive are these transfers and pull-out booklet from Pow! and Wham! issue #54. 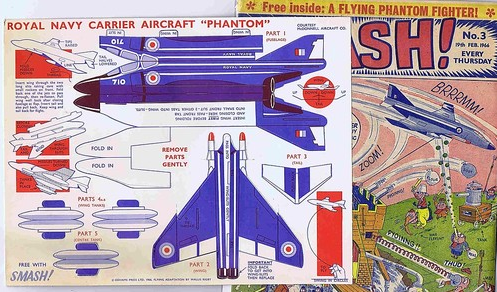 Coming with a scan of the cover, the seller has listed them here as a Buy-It-Now for £229! Welcome to Wacky Comics! 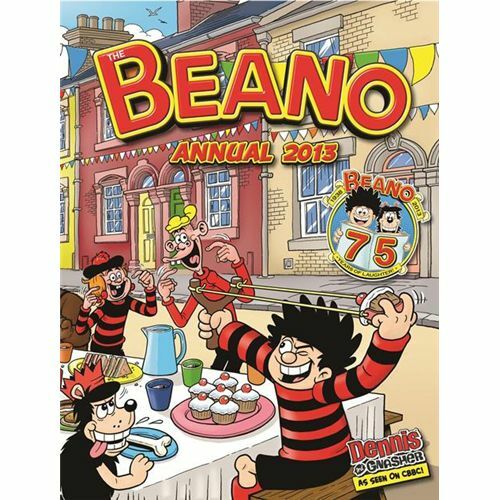 Launched in 2011 Wacky covers everything to do with British comics - old and new, dating back to Ally Sloper's Half Holiday (and before) right up to this weeks Beano! If you want to search for a certain comic, artist or characters just type the keyword(s) into the search bar in the top left hand corner and, provided I've covered it, the results should come up. To view images at the maximum size click on them once, and then click again. Some features don't appear on this site when using Internet Explorer (such as the subscribe and followers section), so I recommend using other browers instead, such as Safari or Google Chrome. 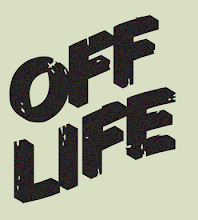 Off Life - A FREE Comic! 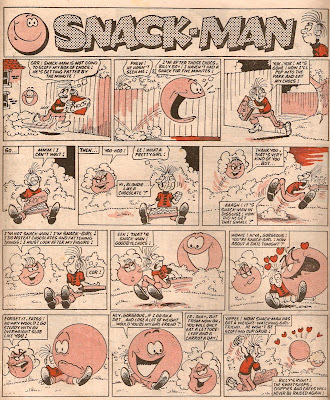 A huge fan of British comics, I've been collecting comics for several years, and now have several thousand dating back to the 1800's - with some early Ally Sloper comics! 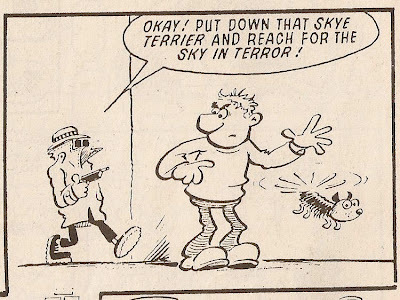 Amongst other strips I draw and write Graham's Onions, Pete and Squelch, Billy and Sid and The Implausable Adventures Of Eric. 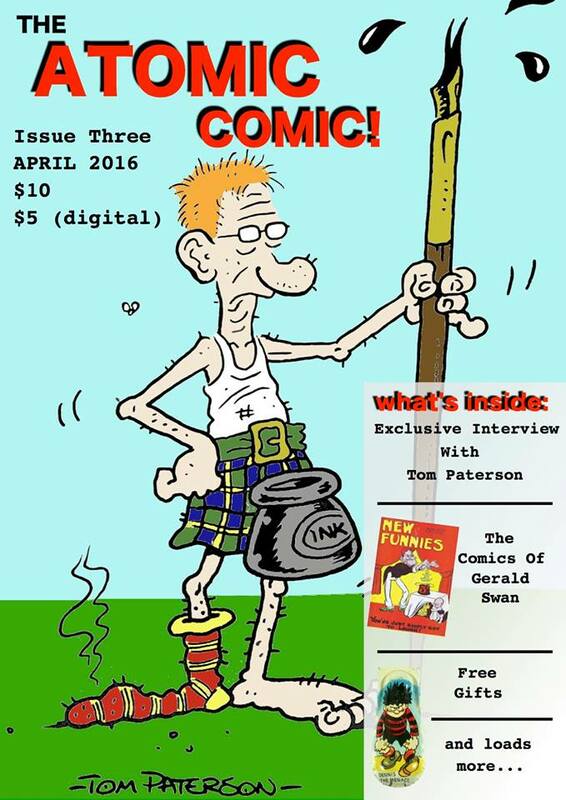 I am also creator and editor of The Atomic Comic, a fanzine focused on British comics. Get Atomic Comic - Free! Untold, But Not For Much Longer - I hope to finally bring Part 4 of my untold secrets blog posts very soon- I've been negotiating. Stay tuned. Chase! - A little clip of a chase scene. That's in a thing that hasn't come out just yet. The Blogs just keep on coming! All images copyright their respective owners. 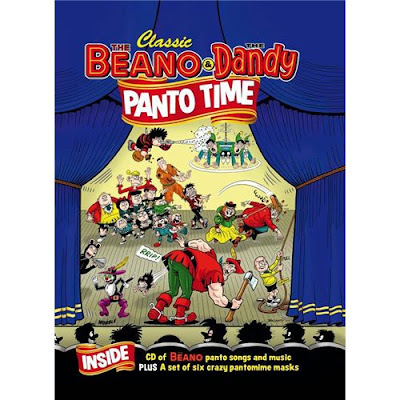 The Beano and The Dandy copyright D.C. Thomson. Simple theme. Powered by Blogger.